After receiving many complaints from passengers on the quality and poor services given by taxi drivers, the Transport Ministry’s Department of Land Transport (DLT) has come up with a new smartphone application allowing users to report on the safety and service of taxis they use for travel. 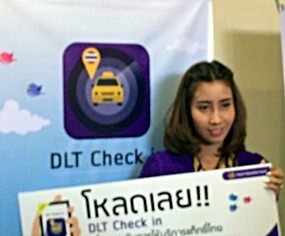 Deputy Transport Minister Arkhom Termpittayapaisith and senior officers of DLT have jointly launched the DLT Checkin app which would allow passengers to upload on their smartphone reports on the quality and service of the taxis they have used. Arkhom said complaints made by passengers would be used in making a decision by the ministry whether a second round of taxi fare increases should be allowed after the first hike of eight percent was allowed late last year. He said the second round of a five percent fare increase would be considered within the next six months and the quality of service offered by taxis would be a major factor for whether the fare increase is justifiable. DLT deputy director-general Jirut Wisanjit said the names of disciplined taxi drivers would be announced and prizes would be given to them in order to boost their morale and reward excellent service. 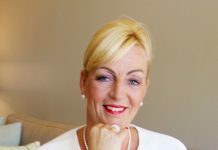 Previous articleObtaining a resident’s permit or visa in Thailand: Not as easy as it seems!